California’s picturesque landscape stretches from its iconic beaches to the majestic redwoods, from the sand-swept Mojave Desert to the Sierra Nevada’s snowcapped peaks. A stunning mosaic of ecosystems, California is home to millions of wild birds, mammals, amphibians, reptiles, fish, and insects. Advocating for the development of renewable energy policies that protect wildlife and their natural habitats by directing the siting of projects and transmission lines on lands identified as appropriate for development. Providing science-based expertise and recommendations to renewable energy developers, federal and state agencies, and local governments on proposed solar, onshore and offshore wind and geothermal projects. 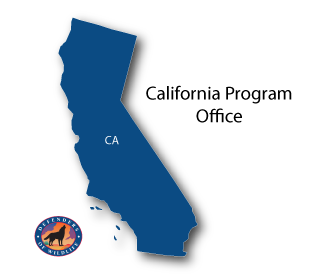 Advocating for funding for natural resource conservation efforts, defending against efforts to weaken environmental laws, and pressing for robust conservation plans for wildlife and their habitats throughout California with a particular focus on the Mojave Desert, Sierra Nevada, and Central Valley. Promoting strong climate change laws and policies that help wildlife and ecosystems adapt to the changing climate and keep California a leader in the drive to reduce greenhouse gas emissions. Encouraging smarter, stronger management of water in California with a goal of protecting rivers, streams, groundwater, and the state’s remaining wetlands, and the myriad fish and wildlife that depend on these areas for their survival. Collaborating with agricultural interests, federal and state agencies and conservation organizations to find solutions that work for farmers and ranchers, while also improving habitat for wildlife and producing cleaner air and water for all. Working as part of the California Rangeland Conservation Coalition to protect privately owned rangelands in the Central Valley and inner coastal range and all their associated habitats—grasslands, oak woodlands and savannahs, and vernal pools. Partnering with the U.S. Forest Service and other stakeholders to reduce wildfire risk, enhance fish and wildlife habitats, and maintain and improve water quality in California’s national forests.